2017 is almost upon us! 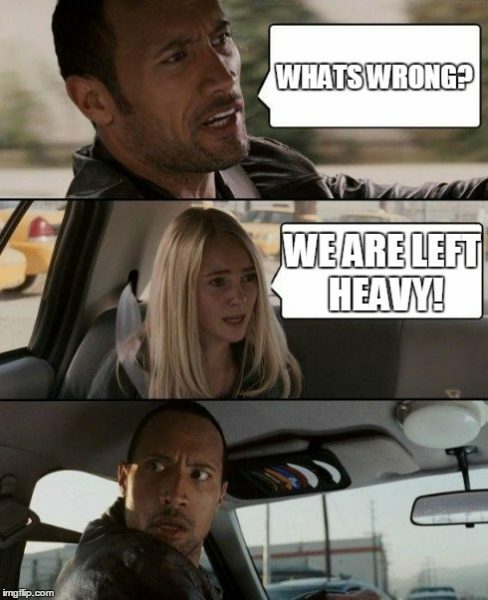 That means it is time to train! Stormys start training on January 7th at Tai Tam Tuk. 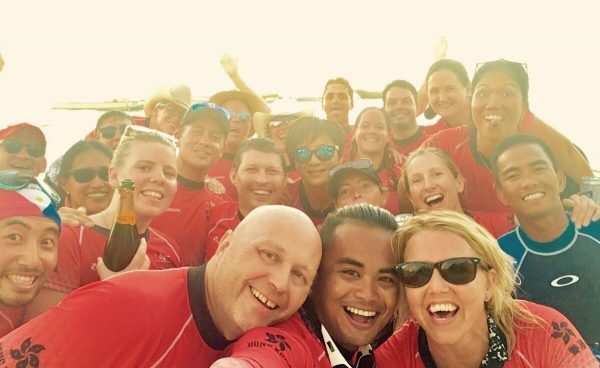 2017 is a qualifying year for the 2018 Club Crews World Championships so this is an excellent year to join! 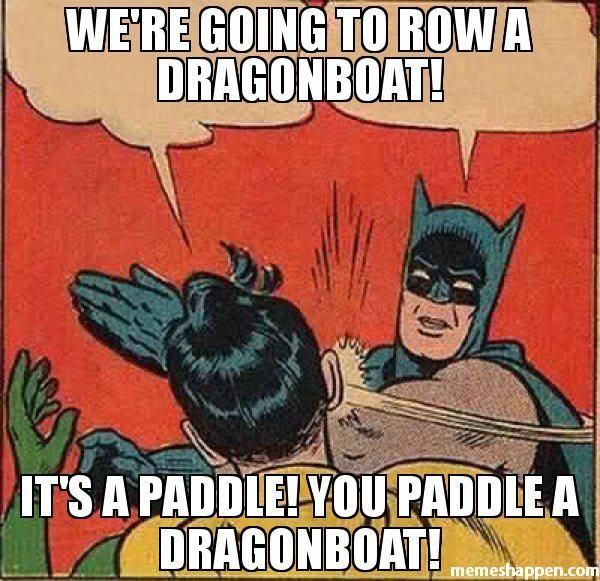 If you have never paddled before then our sessions on Saturday will be perfect for you with a dedicated beginners boat where you can learn the basics of the stroke before being thrown in with the more experienced paddlers. Email us at stormydragonshk@gmail.com or contact us through our Facebook page. We would love to hear from you. The morning was windswept and blustery, ominous clouds loomed overhead, but Stormys was ready to compete in the Stanley Warm Up Races! The conditions during the morning heats were challenging, with a significant amount of chop splashing water into the boats. Thankfully the sun came out in the afternoon to make the semi finals and finals more enjoyable for paddlers and spectators alike. Our mixed standard boat was the first to compete, recording the fastest time of the day and a first place finish, securing us a place in the semi finals. 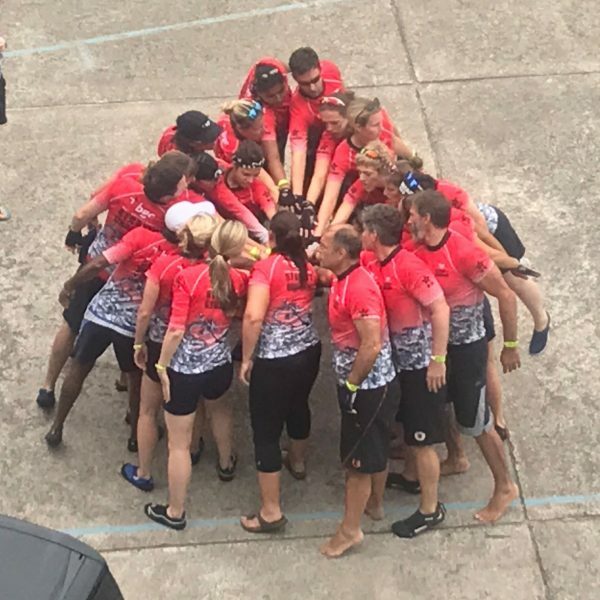 We saw another first place finish in the semis, putting us straight into the Gold Cup Final against the Seagods, two V Power crews, and an experiences HSBC corporate team. We had a great start off the line and led from the start, holding this first place position across the line to take the Gold Cup, beating 112 teams in the process. The ladies standard boat also got off to an excellent start, finishing first and holding off challenges from the AWA Globe Paddlers and the French Froggies. This first place finish was repeated in the next heat, with the AWA Globe Paddlers and the Sea Cucumbers following close behind. In their final race of the day, the Stormy ladies fought hard, coming in 3rd place behind the Globe Paddlers and the Sea Cucumbers who were looking for revenge from the first two races. However, this finish was enough to secure first place overall as the results are based on points from all three races. Ladies Gold Cup Champions! Both the ladies mini boat and the mixed mini boat categories brought us more success, with a bronze for the ladies and 5th for the mixed crews in the Gold Cup Finals. This really was a great achievement as many of the paddlers in these crews were racing in their first races ever! The Stormy men were also in action in the mini boat category. They ran a great first race, but were guilty of giving away the lead to the Liechtenstein Navy and finished second place. However, our time got us (and 8 other teams) into the Gold Cup Final. The men were fired up for the final and were confident they could reverse the results from the first heat. We go out to a great start and were in a commanding lead when our right point man Fred Schlomann snapped his paddle. However, Fred with the utmost cool, managed to pick up the spare paddle he had placed at the front of the boat, rejoin the race (missing only 3 strokes! ), and help us paddle to victory! Click here to check out Fred’s famous paddle breaking/recovery skills. Taken together, our crew kicked off the Sun Life series with style! Taking place just a short week after we were paddling in the Boracay International Dragon Boat Festival and the Deep Water Bay South Eagle Invitational, the BGC Stormy Dragons were primed and ready for the KPMG Lamma 500m and 1K races in the Womens and Mixed standard boat categories. As a club we’re known for our love of long distances pieces, and the Lamma 500m and 1K courses are ideal for putting our training to the test. The Stormy women came out of the gate strong in their first 500m heat, coming second to one of our main competitors at the event: RHKYC. The ladies remedied this with a first place finish in their second heat, placing them in the Womens Cup Final. This was followed by a STUNNING first place 1K race in which we not only passed the boat in the position before us in the rolling start, but also beat most of the mixed teams in terms of time (sub 5 minutes)!! In the 500m Final, we paddled a solid race, coming second again to the RHKYC who pinched the gold just before the finish line. This event also saw a number of new women in the boat stepping up for their Stormy debut! What a day ladies! The Mixed crew followed suit, and in our first 500m we battled VRC for the length of the course, ending in second place by less than half a second. We went into the second heat focused and trusting the chug, which resulted in a finishing time of 2 minutes 10.56 seconds… The fastest overall for the second round of Mixed teams! Not surprisingly, the 1K (oh how we love it!) gave us another opportunity to show the competition that long distance training pays off. With a solid chug, this first place finish got us all into the right mindset going into the Mixed Cup Final. While the entire crew was excited about our times from the second heat and the 1K, they paled in comparison to the performance in the Mixed Cup Final! We paddle one of the best races of the season, shooting out of the start and settling into a strong chug. With a final time of 2 minutes 6.84 seconds (THE BEST MIXED TIME OF THE DAY), to say we crossed the line with smiles on our faces would be an understatement (particularly for the 4 Stormy women that competed in all 8 of the women and mixed races over the course of the day). Notably, this is only the second time the team has taken home the gold in this event in the last 10 years! After such a great day of racing, the team was ready to celebrate on the junk boat back to HK island, complete with plenty of photo ops with the trophies and other shenanigans! Click here to check out all of the final race results along with the recap video below. With 4 gold and 1 silver trophy in our hands leaving Lamma, Stormys is heading into the Sun Life Stanley Race Series with their game faces on! Are you ready? ?